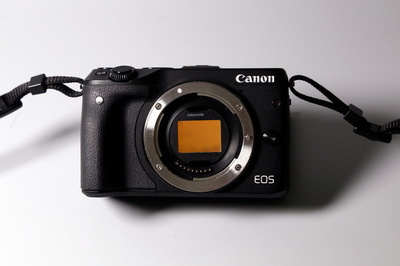 We are proud to unveil the new Clip-Filter for the compact Canon EOS M series! The filters can be used lenses known till today with the EF-M Bajonett. With the adapter EF-M to EF/EF-S all Canon lenses and all lenses from other manufacturers with Canon Bajonett can be used. Of course, you may use the filters when the camera is attached to your scope too. The filters are optimized to be used with normal lenses and with a telescope. Use Astronomik filters for your EOS M and enjoy marvelous images with an ultra light equipment! The filters listed below are usually available from stock. - If you want any other Astronomik filters as a Clip-Filter for the EOS-M, just send us a short message.